What makes a great hotel design? Is it the architecture? Is it the interior? There are many hotel designs that have inspired me over the years. From England to Israeli architects and designers from all over the world have created from blank sheets of paper designs that both emotional move you and intellectually inspire you. Both of these factors create ambiance which fills the rooms and halls for the residents and provides both an enlightening experience and a memorable one. Here are 10 of my favorite hotel designs. It may not look like much more then any other townhouse built in the 1800s but where the Brody House in Budapest really shines is the interior design. The hotel was started by a few artists and a close friends who would often hang out in the ground floor of the building. Since then they have turned it into a very unique and style retreat from the noisy modern world. It has a very stylish bar and a membership club as well as many eccentric art installations that cover the walls of the 19th century building. It features many sculptures from Bo Droga, an Australian native famous for his the obscure materials he uses for his expressions. One room features a chandelier made from a wooden chair, a “chairndelier” if you will. My favorite feature is that instead of using normal wall paper, the designers have opted for using antique music scores and handwritten letters. If you are ever visiting Budapest, this is definitely a top choice place to stay. 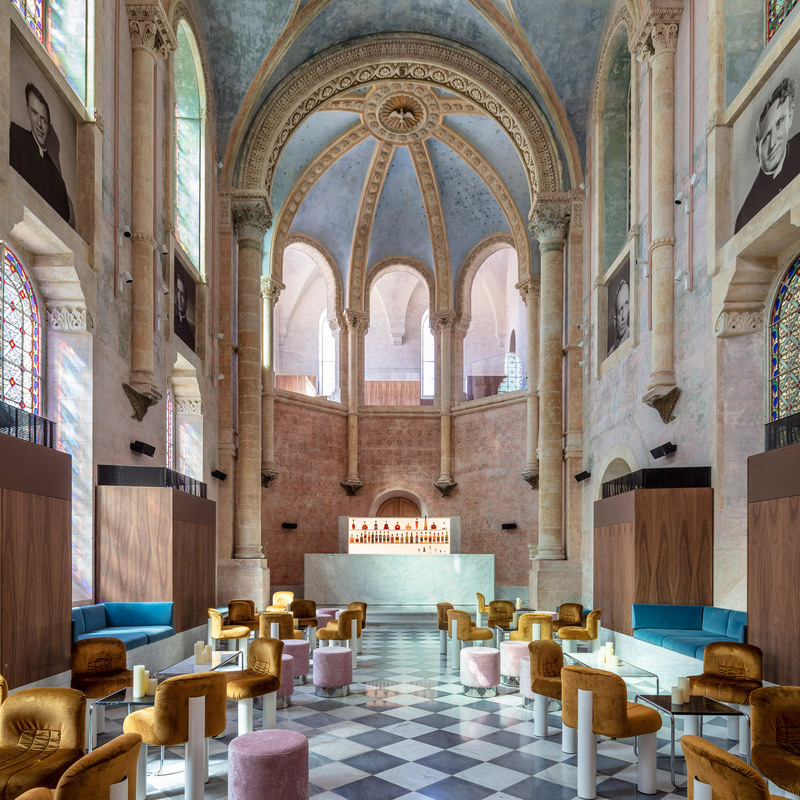 What was once a ornate covent and hospital has now been turned into an hotel with quite an amazing architectural experience. The Jaffa Hotel, was designed by a British designer named John Paqeson who worked very closely with a local conservationist and architect named Ramy Gill. The overhaul features a variety of styles including neo-Roman and classical Arabic. It comprises 120 hotel suites and rooms, an an outdoor pool. All of this is connected together by beautiful gardens and arched colonnades. They have also recently added a new 6 story private wing which accommodates 33 private residences. They, of course, each have their own private entry. I am a fan of the wide range of colors used and how the designers were able to make various different styles of architecture flow so well together. Also in located in Spain, just like my own hotel, the Casa Bonay resides in the more modern Dreta de l’Eixample district. It is a beautiful boutique hotel and successful combines modern elements of design along with is own original elements. This works to create a very international spirit while retaining its own unique heritage. It features classical Catalan masonry and mosaic style tiled floors, all while retaining the 19th-century buildings original iconic features. The building was designed by the owner Ines Miro-Sans after she returned home from working for the Ace Hotel Group. Bringing back with her a little New York spirit and utilizing some of Spains create talents, Ines created a beautiful experience I am glad is located on the other side of the city. I am very appreciative but competitive. Located in the United Arab Emirates, the Burj Al Arab is the fifth tallest hotel in the world and easily one of the most expensive ever built. It is build on one of the now famous artificial islands and connects to the mainland by its own private curving bridge. Designed to resemble the shape of the sail of a ship the Burj Al Arab provides an unforgettable experience. It is impressively massive, however despite its size the hotel only has 28 double store floors and accommodates 202 suites. All of the suites, of course, are of the finest and most luxurious materials. It also includes two 5 star restaurants, the Al Muntaha (“The Ultimate”) and the Al Mahara (“Oyster). The Al Mahara is accessed via a submarine voyage simulation and features a massive 990,000 L seawater aquarium. As much as I appreciate classical architecture the Burj Al Arab provides an unforgettable experience and an unbelievably accommodating staff. 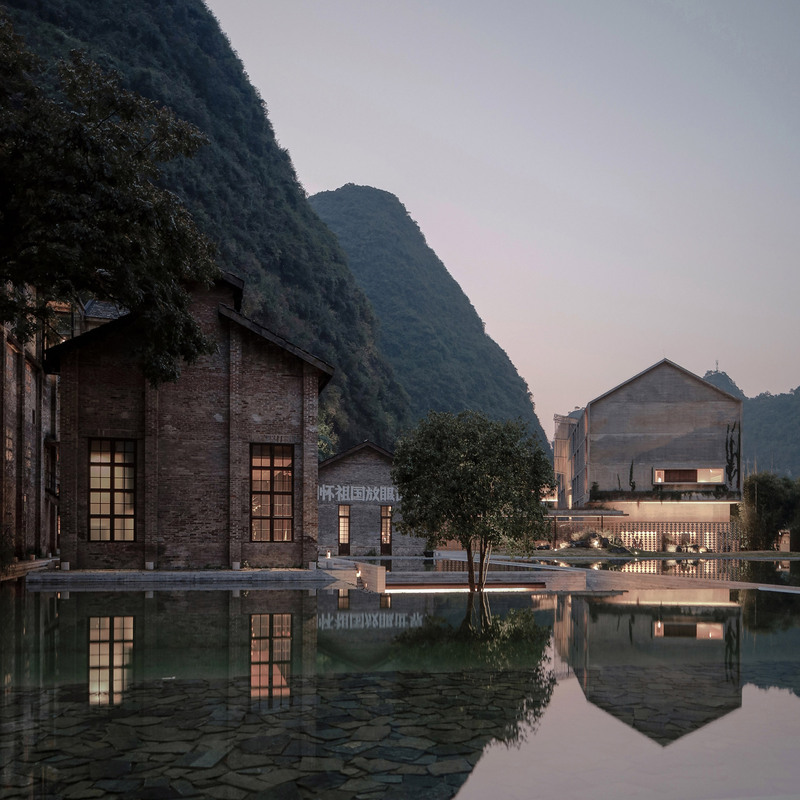 Once a withering sugar mill and now a beautiful resort, the Alila Yangshuo provides breathtaking views of the Yangshuo County mountains. It was designed by Vector Architects and features a group of gabled masonry structures that were designed to complement the industrial architecture. There is just something about retaining a buildings original essence. Its like creating a doorway to another time. The hotel is nestled in the middle of two of the karst mountains that makes the for the most breathtaking outdoor scenery imaginable. The karst mountains are also a very popular tourist destination for those wanting to get up close and personal with Chinas beautiful mountains and to take pictures. While there, make your stay even more memorable by staying at this absolutely stunning resort. I could go on and on and make this list longer and longer. However, I have to stop somewhere. There are many artists all over the world who choose architecture and interior design and their canvas. Staying the night in one of these resorts provides not only any much needed rest you make require along your journey, but also an enlighten and almost spiritual experience. This turns the very act of resting into an unforgettable experience. The next time you find yourself traveling or on vacation, instead of looking for your more traditional Hyatt or Hilton, opt for a more unique and memorable experience. You will be happy you did. I guarantee it.